You may have chosen to eat better in the New Year. With all the sports games on this time of year, you will be tempted to go back to your old ways. 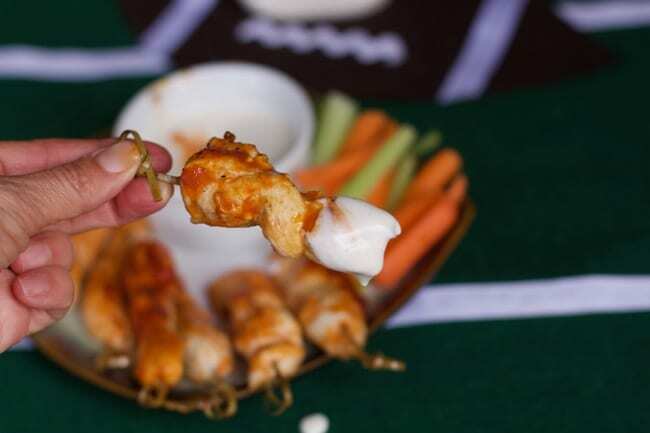 We wanted to share this great alternative to traditional Buffalo Wings that are not super easy to make but taste delicious. 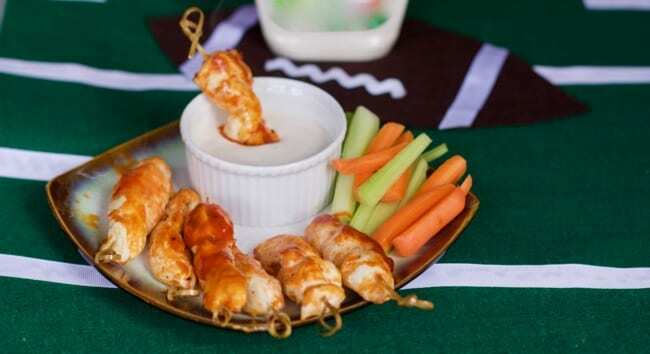 Low Fat Buffalo Chicken Skewers- Boneless Buffalo Chicken Wings is a recipe to serve during the big game. The key to any wing of course is the sauce so be sure you find the one that suits your taste buds the most. 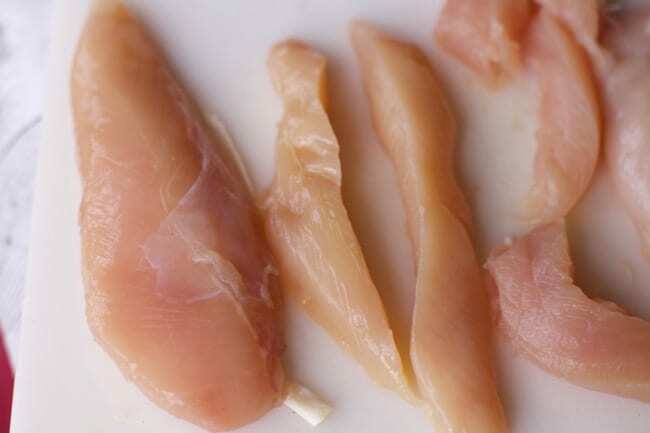 You can start with chicken tenderloins or if you are on a budget, slice chicken breasts into thin slices. Then carefully thread the chicken slices on wooden skewers that were soaked in water for 30 minutes. 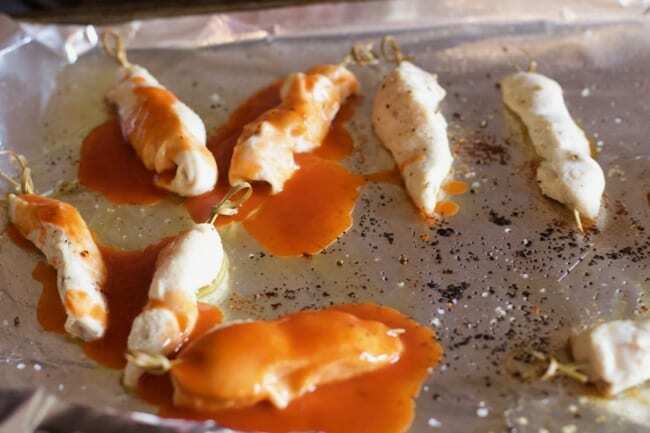 Place them on a baking sheet lined with tin foil that has oiled with olive oil. Season with salt and pepper. Now the sauce comes into play, I found that only a small amount actually baked onto the chicken pieces. But add more sauce that you think you need as I dipped with cooked pieces into the warm sauce. 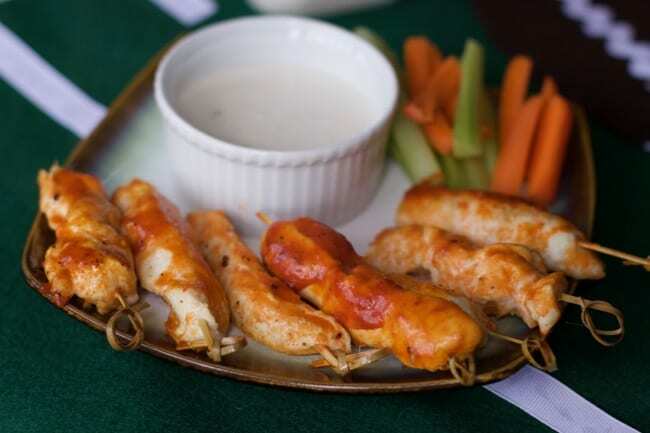 Once they are baked, just add them to a platter with either Ranch or Blue Cheese dressing. Keep your diet on track with some cut up celery and carrots too! You can’t have buffalo wings without carrots and celery. As you can see from this picture, I dipped the cooked chicken skewers with the baked sauce. You can choose low fat or yogurt based ranch or blue cheese dressing to keep the fat and calories in check. These baked chicken wings will be a welcome game day appetizer and you can enjoy another game day treat because you saved on calories here. Place 12 small wooden skewers to soak in cold water for at least 30 minutes. 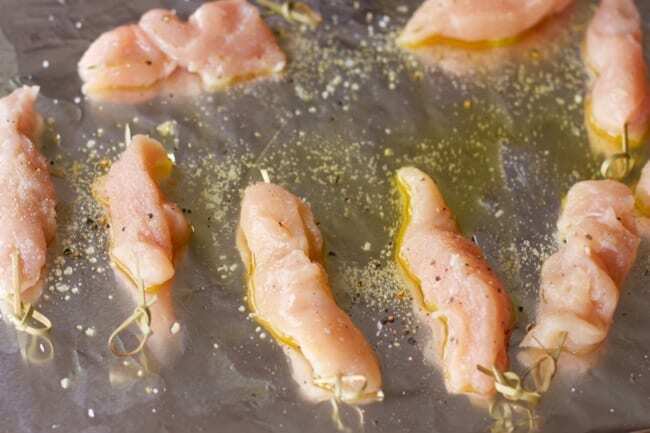 Thread the pieces of chicken onto bamboo sticks; and place on a foil lined baking sheet coated with olive oil. 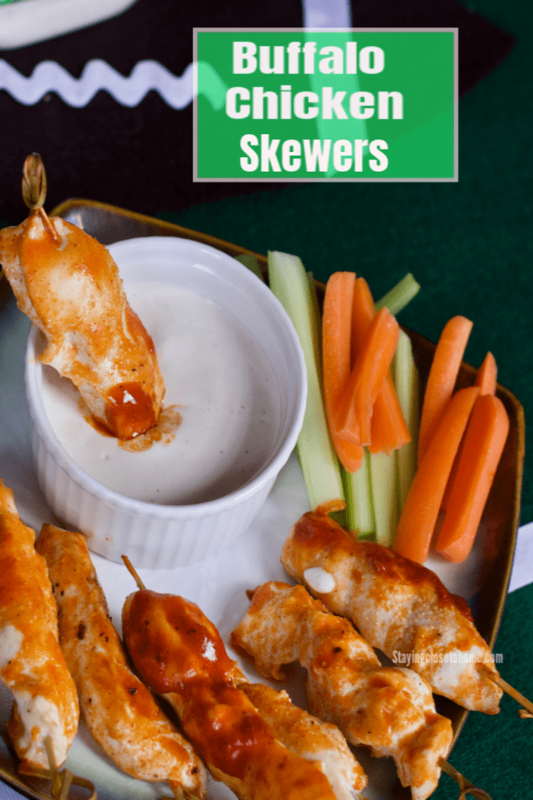 Pour Buffalo Sauce over skewers. 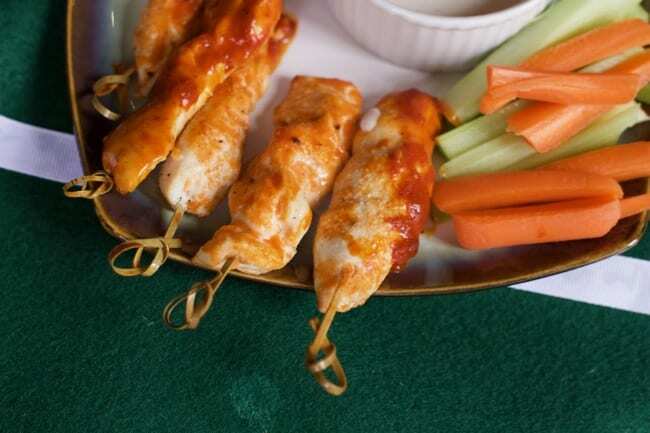 Low Carb Buffalo Chicken Bites are the perfect game day snack.